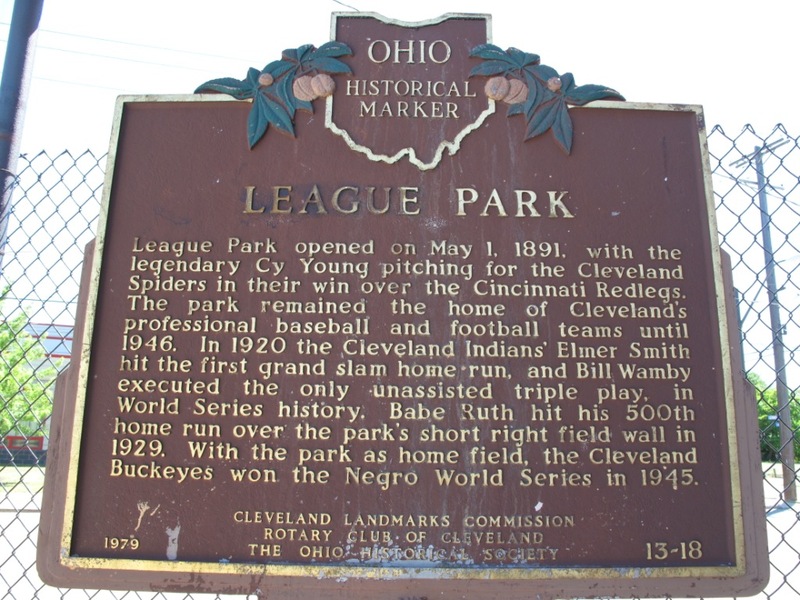 Many cities have “Lost (Major League) Ballpark” sites. Believe it or not Keokuk, Iowa, is one of those places. In 1875 the highest level of professional baseball was played there by the Keokuk Westerns of the National Association. 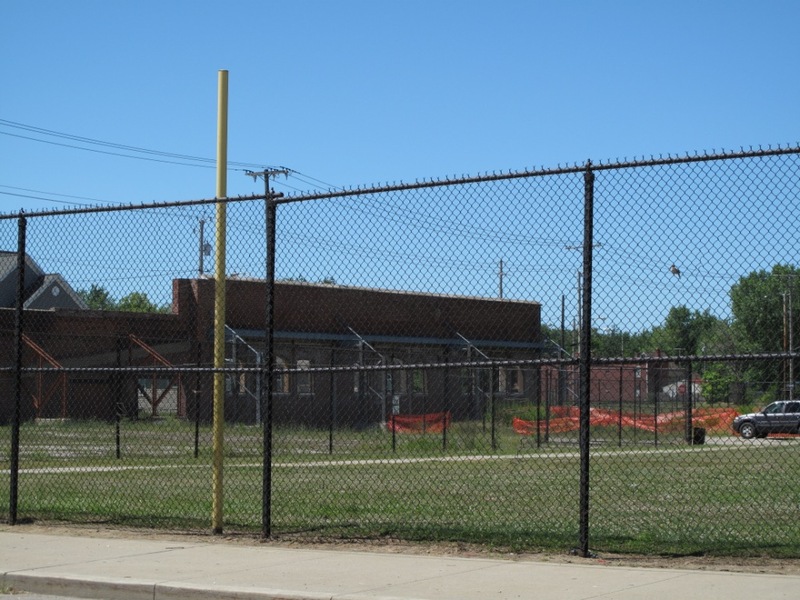 Most cities don’t have a list of Lost Ballpark sites as long as Cleveland, Ohio though. 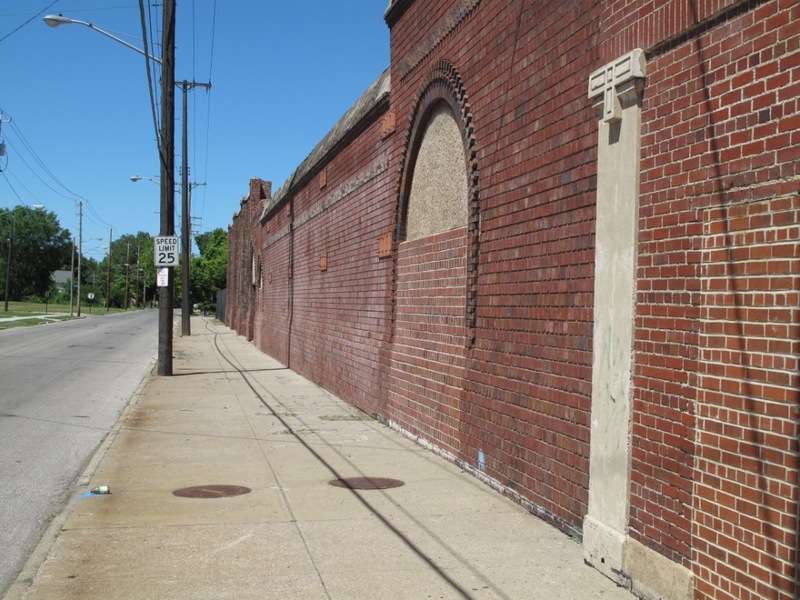 “Green Cathedrals” by Philip J. Lowry lists more than ten in Cleveland and the surrounding area. 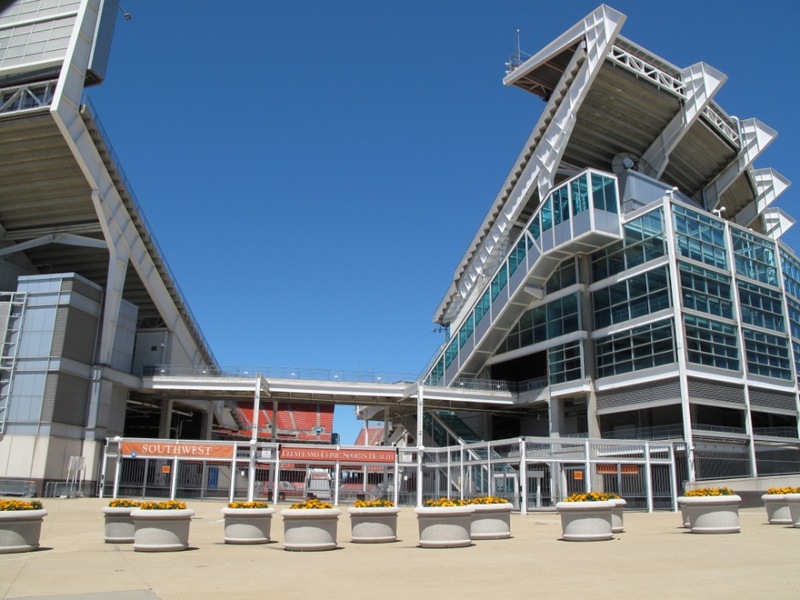 Cleveland Browns Stadium today, old Cleveland Stadium site from 1932-1993. On the north side of downtown Cleveland is Cleveland Browns Stadium. This is the site where Cleveland Stadium was from 1932-1993 (the Indians played at Cleveland Stadium full time starting in 1947). 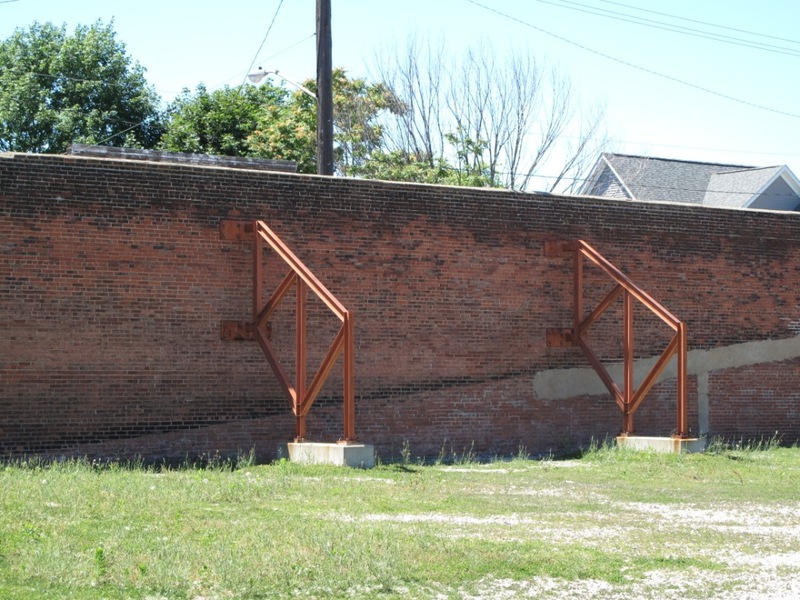 For ballpark nerds that site is nice, but there’s a real Lost Ballpark site a couple of miles east of downtown Cleveland that is easily one of the best anywhere in the country. League Park III (1891-1909) and more notably League Park IV (1910-1950) were located at Linwood Avenue and East 66th Street. Even though most of League Park IV was demolished in 1951 parts of it still stand! 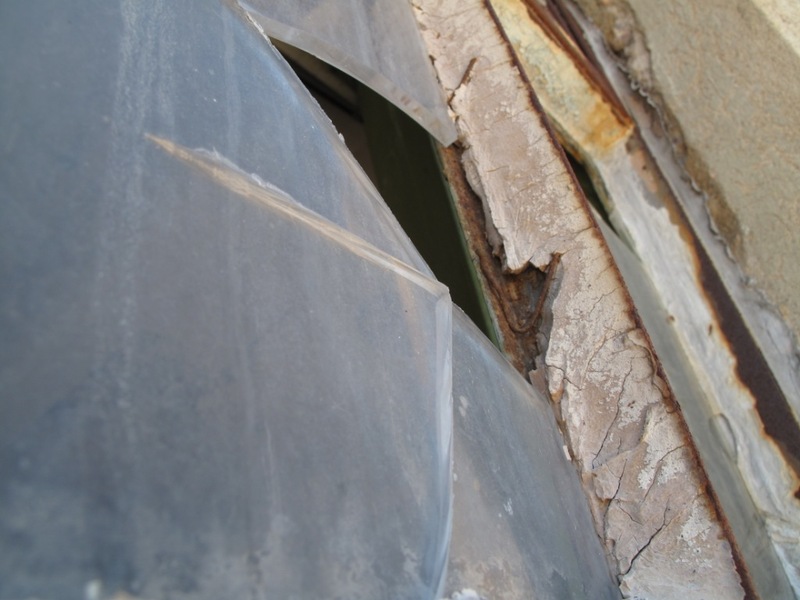 The ticket booth at the corner of East 66th Street and Lexington Avenue is in very rough shape today, but is a great piece of ballpark history. 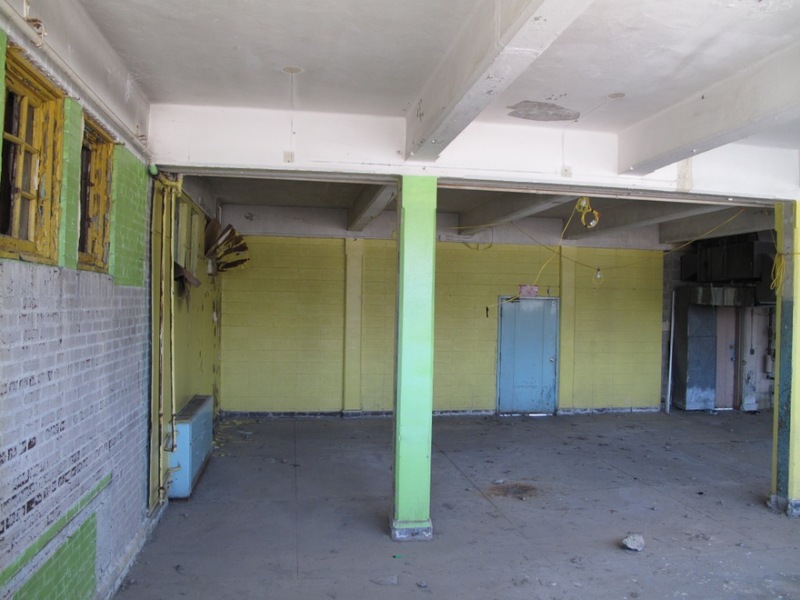 Ticket Booth In Past Years. 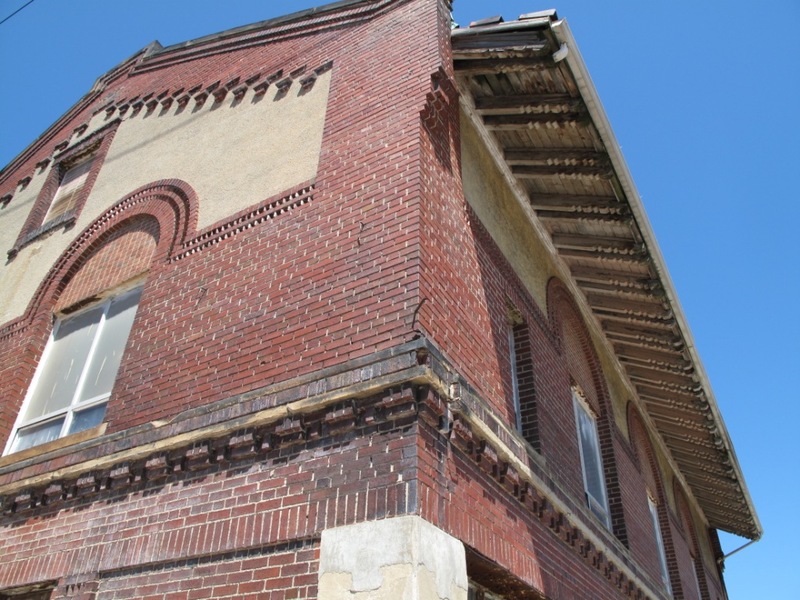 Also still standing is part of the exterior brick wall on the first base side which runs right along East 66th Street. In both right field and left field are foul poles that mark the spots where those were located. 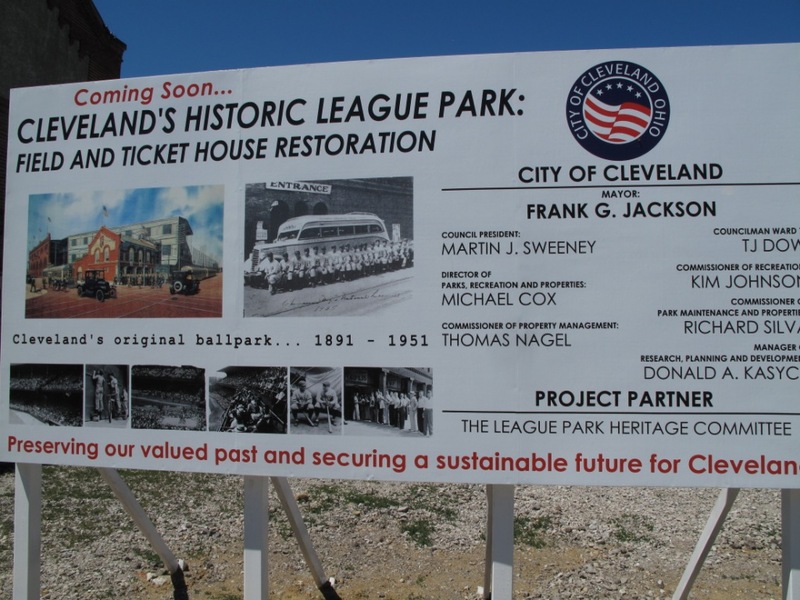 Best of all, there is a non-profit effort now by the League Park Society to restore the parts of Cleveland’s League Park that do still exist, while improving the entire block and giving the area a place to hold baseball games at the site where many Major League games were played through the years. You can check out their efforts here. At the age of ten in 1990 my dad took me to my first Midwest League baseball game. It was the Kenosha Twins against the Waterloo Diamonds at Municipal Stadium in Waterloo, Iowa (I grew up in Grundy Center, Iowa). After my first exposure to the minors I went back, and back, and back again in ’91, ’92 and ’93 to Municipal Stadium. After that, it was many years before I again saw a Midwest League game. 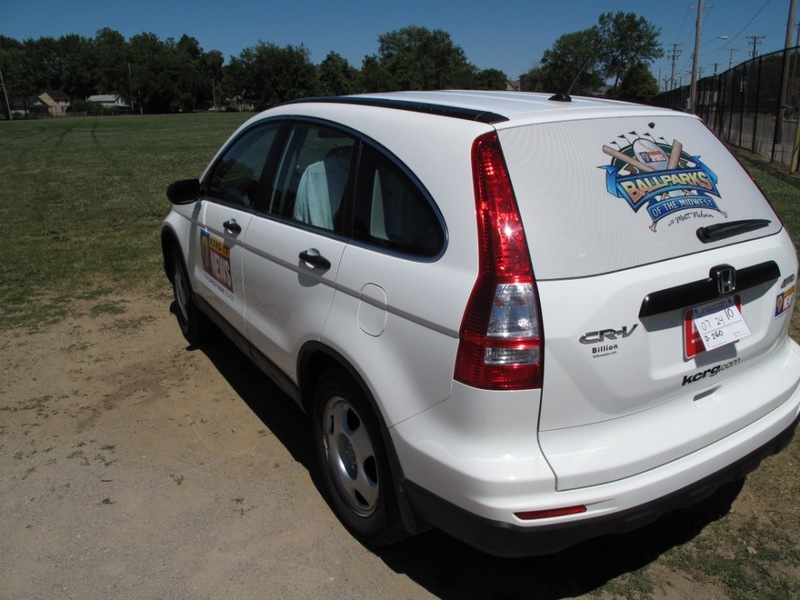 In 1994 the Waterloo Diamonds moved to Springfield, Illinois. After two years there, they moved to Lansing and have been the Lugnuts since 1996. 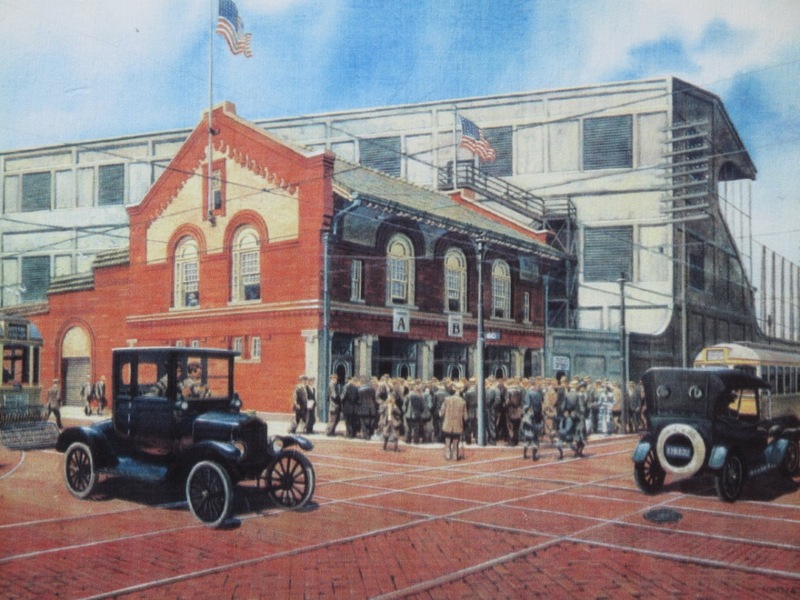 Waterloo has never again had professional baseball, although the Waterloo Bucks of the Northwoods League (Summer Collegiate) have a good following and play to this day at Municipal Stadium. “Waterloo Diamonds” by Richard Panek profiles the 1992 Waterloo Diamonds season and finishes with a few pages on the 1993 season. The book came out in 1995, but I just read it for the first time. It’s currently out of print, but you can find it in used condition all over the internet. I assume that the initial plan for Panek was just to follow a minor league team for a season, profiling what life was like in a small town, and that sort of usual stuff. What this book really encompases is, the death of the Waterloo Diamonds. The book paints the picture of a struggling community, struggling franchise, and struggling ballpark. The perfect storm for losing a team. The fact is, the city of Waterloo never made any real attempt to keep the team in town. Shopping and baseball. They don’t usually go together. However, a visit to the Mall of America provides both. If you visit the mall you’re at the old site of Metropolitan Stadium. Met Stadium was home to the Minnesota Twins and Vikings from 1961-1981. It also hosted the Minneapolis Millers prior to the Twins arrival, and also the Minnesota Kicks soccer team. Home plate is marked with a gold marker in the ground. That location is in a walkway in the NW section of the Mall of America’s theme park, “Nickelodeon Universe.” It is a little wierd to see roller coasters and think that Harmon Killebrew and Rod Carew used to play here, but at least it’s safer than visiting many other lost ballpark sites which are now located in rough neighborhoods. The other signficant marker that honors Metropolitan Stadium is a red seat mounted on a wall near the Log Chute. That seat marks where Harmon Killebrew hit the longest home run at Met Stadium on June 3, 1967. It’s estimated that the ball traveled 520 feet. Killebrew finished his career with 573 dingers! The place to find baseball history in St. Louis is the Cardinals Hall of Fame. I haven’t been there, but that’s what I’m told. Problem is, because they have yet to build the planned ballpark village, there is no current HOF to visit. The Missouri History Museum isn’t a bad alternative. Admission is free, parking is free, and it’s located in Forest Park. The museums exhibits include ballpark seats from Sportsman’s Park (a.k.a. Busch Stadium I) and Busch Stadium II. Old photos of the ballparks, old jerseys, video (film), turnstiles, program sales stands…basically a little bit of everything. Right now there’s a display case near the main entrance that includes All-Star Game related artifacts. There’s also an All-Star Game arch outside the front door. While at the Missouri History Museum, be sure to check out the exhibits on Charles Lindbergh and the 1904 World’s Fair. Those exhibits are very well done. The 1904 World’s Fair exhibit includes a little bit of info on the 1904 Summer Olympics which were also in St. Louis. It’s really too bad Tug of War and Fancy Diving are no longer sports, or at least called those names. 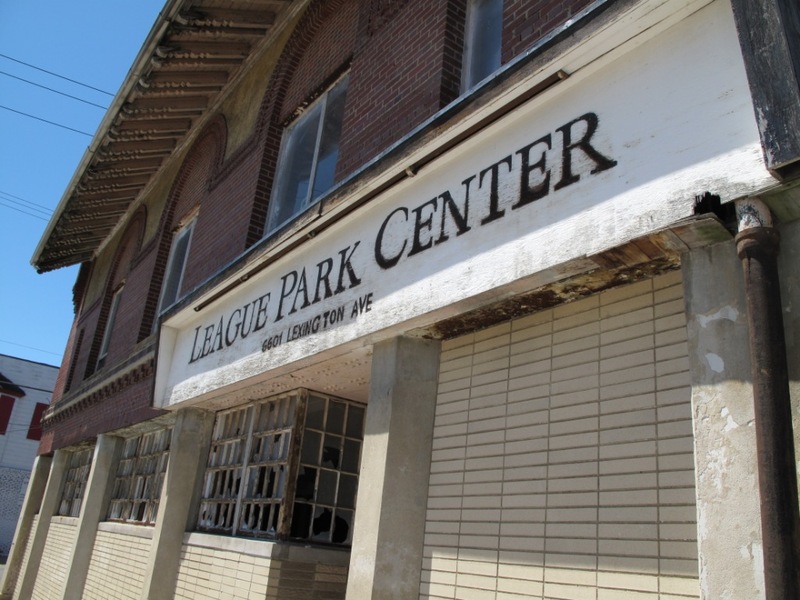 If you want more information on the Lost Ballparks of St. Louis, check out this site that the St. Louis Post-Dispatch has put together. There is no shortage of baseball themed restaurants in the St. Louis area. Near the ballpark are Mike Shannon’s and The Mad Hungarian’s joints. Out in the suburbs you’ll find Pujols 5 and Ozzie’s Restaurant. We went for Ozzie’s. Good food at a very reasonable price. Nice collection of memorabilia including a whole lot of Gold Glove Awards. Of course no trip to St. Louis is complete without a trip up to the top of the Arch. We bought our tickets for later in the day and then came back at that time (you can also buy them on-line). The only thing is that you have to wait in the security line just to be able to buy tickets at the arch. Another thing to keep in mind, when they say your ticket is for a time such as 4:00, it’s more likely to be 4:45 before you actually get on your way up to the top. Despite a short wait, it’s worth it! The best thing about a drive from Eastern Iowa down to St. Louis? As of last July the Avenue of the Saints is now complete. It’s all 4-lane once you get to the AOS.